MANILA – Special Assistant to the President (SAP) Christopher Lawrence “Bong” Go on Friday said death threats won’t change his and President Rodrigo Duterte’s resolve to travel and personally check the situation of the people around the country. 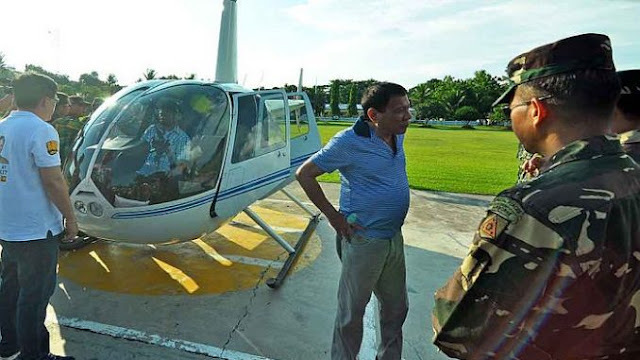 Go confirmed that they received information of an assassination attempt on Thursday while he and the President were on their way to Zamboanga City on board a helicopter to visit fire victims. “Actually, we received the threat report while on our way there. You know, our President is not afraid to die. He said ‘Go ahead, make my day’,” Go said in an interview with radio dzRH. He said Duterte gets threats on a regular basis every time they travel around the country. “Pero parating sinasabi ng Pangulo: ‘kung panahon ko na, panahon ko na’. So hindi ho kami takot harapin ang trabaho namin (But the President keeps on saying, ‘if it’s my time, it’s my time.’ So we are not afraid to do our job),” Go said. Asked where the threats possibly came from, Go said it could be the handiwork of individuals who are against the President. “Of course, there are many who (are) against him and (are) making threats. So anyway, me and the President, we are not afraid to die. We are here to do our work and our responsibility,” the President’s top aide said. Before giving financial assistance and relief goods to the fire victims in Zamboanga City, Duterte and Go attended first the ‘69th Araw ng Ipil’ celebration in Zamboanga Sibugay. Accompanied by Go and Defense Secretary Delfin Lorenzana, Duterte also visited wounded in action (WIA) soldiers at Camp Navarro General Hospital to wrap up his Zamboanga trip on Thursday. Unfazed by death threats, Go and Duterte travelled on Friday to Jolo, Sulu to visit and to give assistance to an estimated 30,000 fire victims. Meanwhile, Go denied speculations that Duterte is not in good health, saying his recent visit at the Cardinal Santos Medical Center was for ‘routine checkup’ in preparation for his third State of the Nation Address (SONA) last Monday. “He’s in top condition to lead our country in the next four years. There is nothing to worry. The President is very healthy,” Go said. Last Thursday, Presidential Spokesperson Harry Roque assured the public that the 73-year-old Chief Executive is ‘fine’. "There is no truth to the rumors that the President was rushed to the hospital. The President is in Davao. There is no truth. It is chismis (rumor). It is fake news. The President is fine," Roque said in a press conference in Zamboanga Sibugay province.